The Islamic Republic Space Agency is trying to recover the communications satellite Mesbah-1 from Italy. 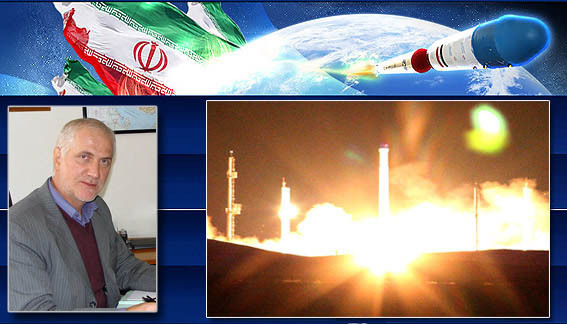 The head of the Iranian Space Agency, Hamid Fazeli, told ISNA it is capable of launching this satellite, but Italy is using excuses such as sanctions and resolutions to avoid handing it over. He said Iran continues to consult with Italy on the matter. The Mesbah-1, which was built by Carlo Gavazzi Space SpA, was supposed to have been launched by Russia in 2005, but for unspecified reasons it was not. Moscow claims that it never received the Masbah-1. Iran reportedly invested $10 million in the construction of the Masbah-1. When Italy refused to surrender the Mesbah-1, Iran began constructing its own version. Iranian authorities say it will be launched this year. Iran has made its space program a priority with plans to launch several surveillance and communications satellites over the next year. The Omid. Iran's first domestically built satellite, was launched in 2009 on the Iranian Safir-2 rocket, provoking a strong reaction from Western countries. The West suspects Iran of trying to develop missiles that can carry nuclear warheads. Iran has repeatedly denied having any military aspirations for its nuclear program.